IGA stands for Independent Grocer’s Alliance. Independent grocery stores can join the alliance and gain the benefit of the pooled resources and the brand name, while retaining their independence. This operates differently from franchised businesses, which are owned by the corporations which grant them. An IGA application can only be obtained through the individual stores. The Alliance was founded in 1926 when 100 grocers in Poughkeepsie, New York, and Sharon, Connecticut, organized themselves under the same name. J. Frank Grimes organized the initial Alliance. More than 8000 stores were members by 1930. If you would like a printable application for IGA, you will have to go to one of their stores. Today, the supermarket Alliance is headquartered in Chicago, Illinois, and is present in over 30 countries. It’s chairman and CEO is Mark Batenic, and he oversees the United States and global divisions. The Alliance oversees production and distribution of its name brand foods, offers training programs for members, and coordinates events, promotions, and charity fundraisers. Membership in the Alliance has allowed small, independently owned grocers to compete with large chain stores. Today, more than 5000 grocers are members. Most of the stores are family owned and operated, and employ people from their local communities. 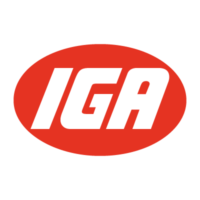 While it is not possible to apply for jobs at IGA online, you can find your local store at the website below. The corporate offices of the Alliance employ people for positions in marketing, finance, IT, and other fields. If you are interested in IGA careers working in the corporate offices, check their website for possible openings. IGA accepts resumes when corporate positions are available. You will not be able to fill out an online application, but you can mail your resume. In-store and entry-level positions include Grocery Store Clerk, Assistant Manager, Deli Clerk, Cashier, Cake Decorator, Manager, Stock Clerk, Customer Service Desk Clerk, Merchandise Buyer, Price Coordinator, and Cashier Manager. Most people would hire in as clerks or cashiers and work their way up. You will not be able to download application form for jobs at the website. How old do you have to be to work at IGA? You must be 16 to work at most IGA stores, but you may need to be older depending on the position you’re applying for, and the independent retailer. Because these businesses are independently owned, there is no standardized minimum age for employment. IGA jobs in the stores offer all of the advantages of working for a small business, but with the added security of a large business. Employees get to know their employers. They also can take advantage of training programs and benefits packages offered through the Alliance. Benefits include health insurance, 401(k), and paid days off. Typical grocery store hours would be Monday through Sunday, 7:00 AM to 10:00 PM. Grocery Store Clerk – As a Grocery Store Clerk, you would stock shelves, make displays, remove damaged or spoiled items, mop floors, clean the store, assists customers, bag groceries, and retrieve carts from the parking lot. No experience is necessary for this job. Pay normally starts at minimum wage, which is at least $7.25 per hour. Cashier – The Cashier scans groceries, takes payments and coupons, checks prices, bags groceries, and counts the till at the beginning and end of a shift. The Cashier usually works with a manager nearby. This position often requires a high school diploma. A typical salary for this title is $26,000 per year. You cannot apply online. You can only get an application form at a store. Cake Decorator – A Cake Decorator takes special orders from customers, maintains food safety guidelines, bakes and ices cakes, squeezes frosting tubes for long periods, labels and prices boxed cakes, and maintains the display case. Previous experience is usually desired. Cake Decorators generally earn $9.00 to $15.00 per hour. You can’t get a direct application for IGA jobs online. Manager – As a Manager, you would make the schedule, direct employees, place stock orders, pay invoices, and track the stores finances and payroll hours. You would be in charge of advertising and promotions. Your responsibilities would include hiring and firing, as needed. Expect a salary range from $60,000 to $80,000 per year. Have you worked anywhere before? Grocery stores do hire people with no experience for some entry-level positions. If this would be your first job, let your interviewer know how happy you would be to work for them. If you have experience, talk about how it relates to the position you want and provide references. What do you expect your job description would be on a typical day? Your answer to this question will help your interviewer gauge your understanding of the job you want. There may be a lot to it that you don’t know. Try to do a little research before you interview. What do you think good customer service is? Most businesses have standards of customer service to follow, but it helps if employees already have an understanding of good customer relations. Most stores in the Alliance are small businesses with a community of regular customers and neighbors, and good relations with them are important. Would you be uncomfortable asking a customer for ID to buy alcohol or cigarettes? If you are applying to be a Cashier or a Customer Service Desk Clerk, you may have to sell age-restricted items. Asking for ID can be intimidating, so you’ll need to assure your interviewer that you can do it. What is your availability? Grocery stores open early in the morning, and are open nights and week-ends. Some may be open 24 hours, and need people for all shifts. If you are a student, or if you have another obligation, letting them know before you are hired will be appreciated. If you are applying at your local store, wear something nicer than you normally do when you shop there. You will not be able to read about job opportunities by following the link to their website below. If you are interested in filling out applications for careers with stores in the Alliance, you will need to go into your local store. You can get store locations from the website. If you are hope to work at your local store, you may know many current employees. Asking one or two employees to give you a reference can help you get hired. You can’t apply for IGA jobs online. There is no printable application form available at the website. You will have to get your IGA application in person. If you want to know how to apply for IGA online, visit their website through the application links below. You will learn about the Alliance and the kinds of stores that belong to it, but you will not be able to apply from the site. You can find store locations while you’re there, to see where you can go to fill out a free application in person.